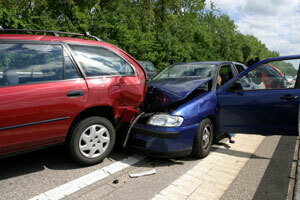 A multi-vehicle accident occurs when a road traffic accident involves more than one vehicles. Some police departments and motorists refer to these collisions as a “pile-up”. Generally speaking, these collisions occur on heavy traffic roadways and high-speed routes such as freeways and highways. In larger cities with high populations of motorists, these types of accidents are common. As a result, multi-vehicle crashes can become deadly due to the combination of higher speed trucks and cars that suddenly come upon the initial disabled vehicle(s) in the roadway. What was initially a minor property damage wreck between two vehicles can quickly escalate to more than a dozen vehicles. Despite the general causes of typical collisions, such as speeding or failure to pay attention to the road, some common causes of multi-collision wrecks may be attributed to the following: poor visibility; poor weather conditions; motorists driving closely behind other motorists; wrong way drivers; and obstructions on the road. There have been several accounts in the national news where a sudden onset of fog or extremely heavy downpour of rain severely limited the ability of motorists to see the road or other vehicles in the distance and contributed to multi-vehicle collisions. In fact, there was one instance of a paper manufacturing factory in Tennessee that had a history of frequent fog production due to its manufacturing processes. This factory was located near a highway that was in a low lying area. On one particularly occasion, the fog developed and and enveloped the highway causing death and injury to more than 50 motorists. Slippery roads--due to snow, ice and/or rain—is another poor weather condition that can contribute to multi-vehicle collisions. In such circumstances, a motorist traveling at an excessive speed can cause a minor collision that could easily morph into a multi-car collision due to other vehicles being unable to stop in time. Yet another cause, albeit less frequent, is a wrong way driver that operates his/her vehicle on a highway or freeway and collides head-on into a vehicle that in turn causes vehicles and trucks behind it to get caught up into the initial crash snarling traffic for miles. Additionally, potholes and darting animals on the roadway can lead to sudden deceleration or braking of a vehicle which causes the trucks and cars behind it to collide. Victims involved a multiple vehicle collision often receive serious and life threatening injuries because the number and mass of damaged or crumpled vehicles makes it impossible or difficult for the victims to escape or leave their vehicle before other vehicles collide into them. It is not uncommon for some vehicles to be hit numerous times and sustain heavy and frequent multiple impacts which compound and aggravate initial injuries and damage. Georgia has a history of multiple vehicle collisions. In January 2010, when Atlanta bore the brunt of the Winter storm that left a coat of ice, numerous multiple car collisions were reported throughout the city. In September 2011 in Forsyth, Georgia, a one-car accident developed into an 18-car accident chain reaction crash that went on for 8-10 miles on I-75 near mile marker 185. It is not surprising that these multi-car collisions took place on a highway. A shared difficulty among victims in a multi-vehicle collision is trying to determine who is at fault for causing the collision. Due to the number of motorists involved, sometimes it can take days or weeks for police investigators to interview witnesses, victims and motorists. It is not uncommon for speeding vehicles and trucks to lose control and spin into other vehicles at different angles. Consequently, it is difficult for law enforcement to determine which driver or drivers are responsible for causing the collision or contributing to the collision. Typically, the strategy of the insurance companies is to attempt to spread the responsibility among all the drivers where liability is unclear or undeterminable. In such situations, it is of utmost importance to have uninsured or underinsured motorist coverage to protect yourself. If you or a member of your family have been involved in a multi-vehicle collision, it is essential that you retain an experienced personal injury attorney as soon as possible to make sure important evidence and information is not lost or destroyed. By retaining an attorney early in the outset, you can protect your rights and obtain the recovery you are entitled to against competing motorists. As reflected in situations described above, determining the cause of your injuries and finding out which insurance companies or individuals should bear the burden of liability for the accident can present a difficult undertaking, particularly if you are dealing with physical injuries and other fallout from the collision. The Law Offices of Kevin C. Ford have twenty years of experience in handling the claims of victims of multi-car collision victims, and if you or your loved ones have been the victims of a multi-vehicle accident in Georgia, we can help you, too. Contact us today, to speak to an attorney right away. As always, the consultation is free, and there is no obligation. Call us, or use the online form. We are available to answer all your questions.